In his 35 years of building home theaters, Pat Gagliano says no two are ever the same. “We’ll go into a new development and they’ll put up the same house 30 times in a row but that doesn’t make a difference to me,” Gagliano said. 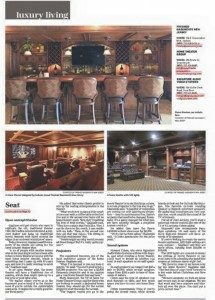 “I’ll do 10 of those basements in that development all with home theaters and I’ll make sure none of them are even remotely the same to the other. As seen in Asbury Park Press, click here to see article. 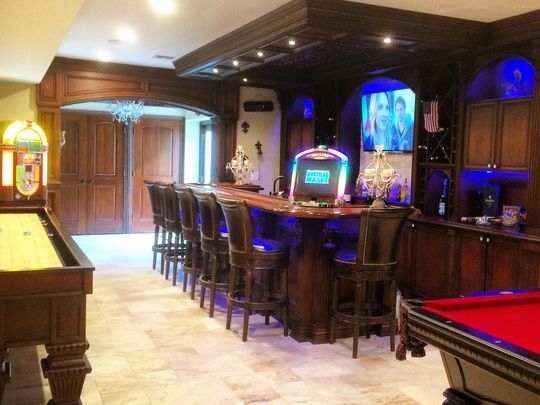 Gagliano, the owner of Finished Basements New Jersey, said his clients will spend on average $25,000 to create a high-end custom home theater set up. 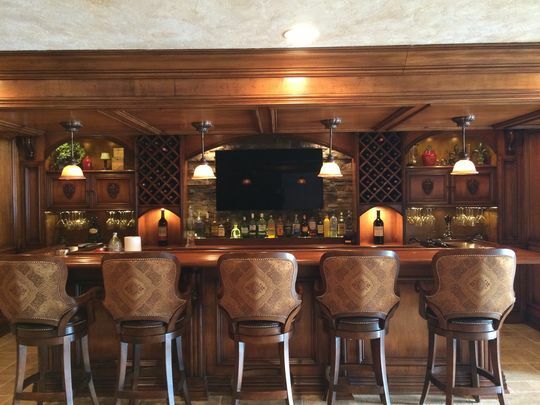 However, the price can range depending on the client’s wishes — he’s currently working on a home theater in Toms River where the client is spending $200,000. “I do this for a living, and it still blows my mind,” he said. Gagliano will get clients who want to replicate the old, traditional theater vibe: He’ll add a concession stand, a popcorn maker and hang up traditional movie theaters with lights around the edges in an enclosed sound-proof space. Today, however, Gagliano said the majority of his clients are opting for the open concept theater plan. “A lot of people with smaller homes who in the past might not have been able to have a home theater are going with the open home theater concept, which is something that I came up with 10 years ago, and now it’s really starting to catch on,” Gagliano said. In an open theater plan, the home theater will have a traditional row of seating, which then might open up to a bar area or pool table area. He added that some clients prefer to mix up the seating arrangements in the theater. “What we do now is place a little couch or love seat with a coffee table in the first row and in the second row there will be home theater seats. Now, they’re getting the best of both worlds,” Gagliano said. 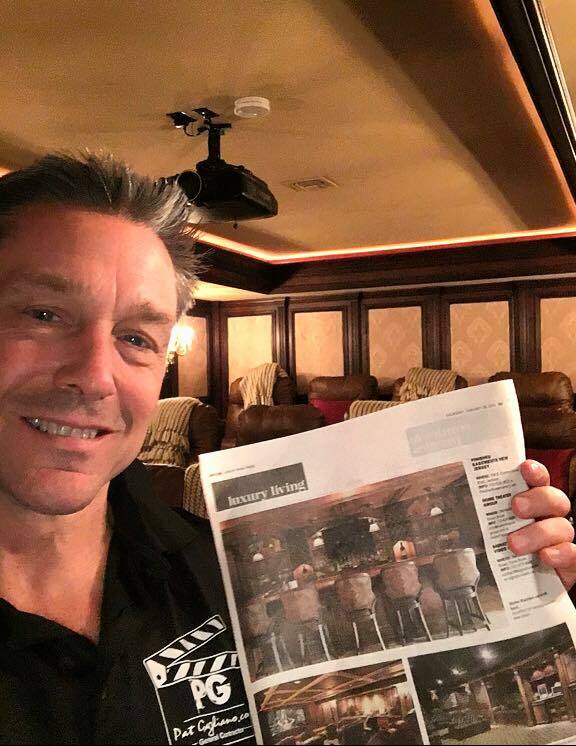 “They have a place that feels like, ‘Hey, I can lie down on the couch, I can cuddle with my kids.’ Then, in the second row they get that real classy: ‘I’m sitting in this high-end theater’ feel. 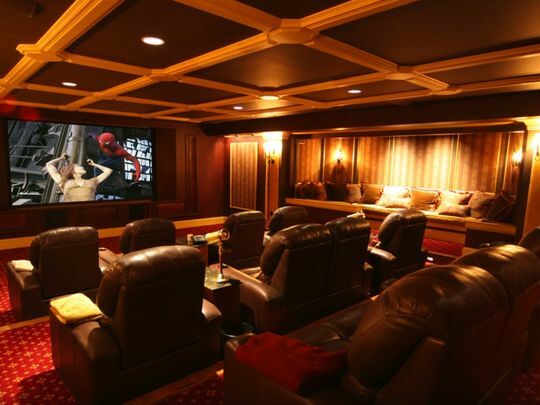 The equipment becomes one of the most expensive aspects of the home theater, Gagliano said. If you’re looking to create the movie theater ambiance, LED light ceilings are very popular — Gagliano said they are more pricey, ranging from $10,000 to $15,000. The LED lights are created to mimic the ceilings at movie theaters or can even come with a shooting star panel that creates an intimate starry night feel.